AdNabu follows a strict structure when it comes to campaigns. 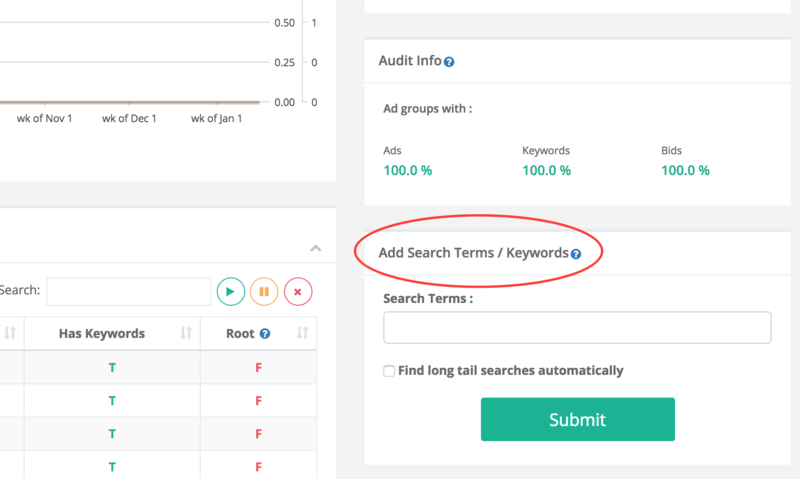 We create single keyword ad groups(SKAGs) for every keyword and also create corresponding negative keywords to avoid internal competition. Hence we strictly recommend our customers not to add or remove keywords from Adwords for AdNabu campaigns. To add keywords through AdNabu, go to a campaign detail page and add keywords from there.